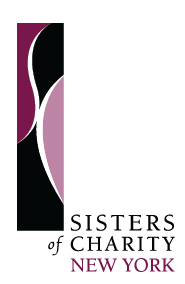 As Sisters of Charity, we cannot stand by and watch the cruel and horrific action by our government at the Southern border. We encourage all concerned and committed citizens to reach out to their House Representatives and Senators and plead that they take compassionate action to end the violent response to human need. We pray that our leaders see the face of God in our sisters and brother—and most especially the children—who reach our border seeking asylum. Please join us in praying for justice and compassion. Asylum yes for individual cases.An organized rush to our border by a predominantly male carravan no.I am very pro Latin America since my Farmworker days.I belonged to the same parish as Sr Ita Ford who was murdered in El Salvador.A kibbutz like program where these young males could demonstrate merit for asylum would be an interesting alternative.We cannot save the world though we pray it will be.We have norms for entry to citizenship.I was recently in Quebec.Could I at their border or any border whatsoever simply walk in.Served many of your convent masses in Washington Heights.Please get more real with your views. “Our mission as Sisters of Charity is to share in the ongoing mission of Jesus by responding to the signs of the times…and revealing the Father’s love in our lives and in our varied ministries….” Migration is a sign of the times to which the Sisters of Charity are called to respond. We are committed to examining its root causes and advocating for systems, laws, policies, practices, behaviors, and attitudes that promote justice, nonviolence, respect, and dignity of persons and compassion. We do not condone violence; we are committed to nonviolence. We support migrants’ right to apply for asylum and believe that all governments, including U.S.A., must protect the rights of migrants and ensure fair treatment and due process for all. To keep abreast and know firsthand what is happening, we are in touch with groups such as USCCB (United States Conference of Catholic Bishops) and Justice for Immigrants as well as other groups. Their websites offer valuable information. http://www.standwithimmigrants.org is very informative. The issues of migration are admittedly complex and filled with areas of grey. Unfortunately, much of the “complexity” is driven by an appeal to fears fed by misinformation. What we must not lose sight of is the human dimension of the suffering and the desperation that drives people to leave home to seek something better for themselves and their families – despite the dangers surrounding that decision. As Christians, as Catholics, we are called to bring compassion to our immigrant brothers and sisters. Our government’s words, actions and policies are totally devoid of compassion and, instead, add to the dehumanization and demonization of migrants and refugees. It is essential that we not lose our way in the rhetoric of fear. The idea that those seeking asylum are dangerous criminals is hateful propaganda by those who seek to keep out our neighbors from Latin America. That they invoke the name of God in keeping out our neighbors in need is blasphemy. If we are a Christian nation, as many claim, then you don’t get to pick and choose when to act like a Christian.